This thing, the Semi-Honed Oblong Versatile Eating Ladle, or S.H.O.V.E.L., is useful enough to give a Swiss Army Knife a run for its money. 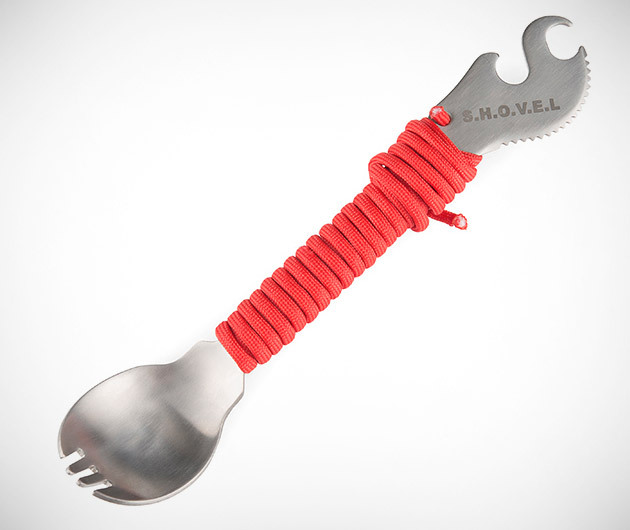 Features a fork and spoon at either end, bottle opener, serrated knife and six feet of paracord. It's also forged from titanium which means it's just about indestructible to boot.